Everything you need to start get relief for dry eyes from Sjogren’s Syndrome. The All-in-One Autoimmune Starter Kit offers: 4 bottles TheraLife® Eye Autoimmune, 1 bottle Omega-3 Fish Oil, 1 Eye Lid Cleanser, and 1 Hot Compress. Early diagnosis and effective treatments are extremely important for people with Sjogren’s Syndrome. Proper Sjogren’s treatments may improve symptoms, prevent recurring flare-ups, and prevent future complications. In general, possible forms of Sjogren’s treatment include over-the-counter medications, immune-suppressants (to treat internal organ manifestations), and anti-inflammatories. Sjogren’s syndrome affects each person differently, so a personalized plan should be developed by the person with Sjogren’s and his or her physician, dentist and eye doctor as to how to treat symptoms. TheraLife® has developed a formula that regulates the autoimmune disease through “immune-modulation”. Immune modulation refers to medical intervention to alter the body’s immune response when it is not performing properly. 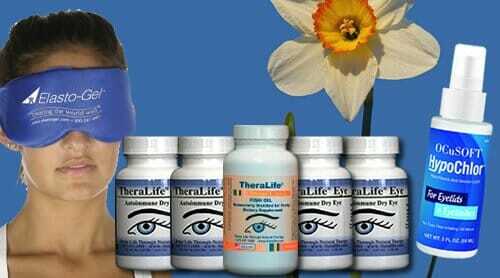 TheraLife® Eye Autoimmune reduces inflammation and relieves clinical symptoms. 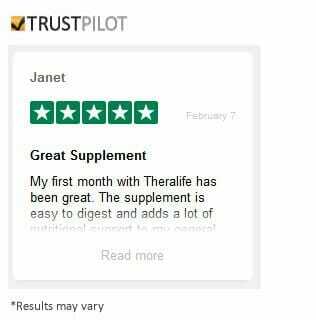 Those who have experienced relief with TheraLife® Eye Autoimmune must continue with a lower dosage maintenance program in order to stay symptom-free. Currently there is no known cure for Sjogren’s syndrome. The major purpose of the treatments is to control the symptoms and prevent other organs from becoming involved. Understanding treatment options is critical to achieving treatment goals and enabling Sjogren’s patients to have a reasonably good quality of life. Use lubricants made specifically to help vaginal dryness. Do not use petroleum jelly. Join a regional support group. Undertake regular exercises – swimming if joints hurt. See a mental health professional on a regular basis. I was diagnosed with Sjogrens’ with severe dry eyes six (6) years ago. My eye doctor put me on Restasis and systane eye drops. My eyes were red, uncomfortable and getting worse. I felt miserable at the end of each day -just wanted to pull my eyes out. I was unhappy, very depressed, and no social life. All I wanted to do is close my eyes. I would pray for a miracle. I went on line and found TheraLife. I have been on TheraLife Autoimmune for three (3) months and I have my life back again. My family and co-workers also noticed the a major difference in my eyes. TheraLife Autoimmune is worth every penny, It is the best thing that ever happened to me. It is the answer to my prayers.